Havering has a new Mayor following the Annual Council meeting on Wednesday 17 May. 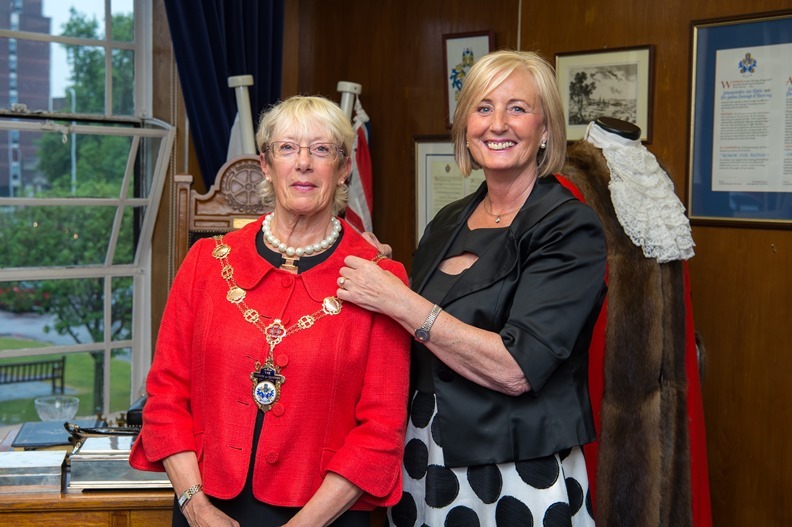 Linda Van den Hende, who represents Upminster, was elected to be Mayor of Havering for 2017/18 having served the last year as Deputy Mayor. She was first elected to Havering Council in 2006 and will be joined by her husband, Mr Laurence Chalk, as her consort for the year. Councillor Van den Hende, said: “I have discovered a lot about Havering while being Deputy Mayor and look forward to my year in office, and in particular, continuing to meet so many local people and voluntary organisations. Councillor Dilip Patel, who represents Mawneys ward, was named as Deputy Mayor. She said the highlights of her year included the Queen’s Garden Party at Buckingham Palace, celebrating her Majesty’s 90th birthday with schools and charities in the borough; and the Westminster Abbey Civic Service. Cllr Philippa Crowder also thanked her husband and consort, Cllr John Crowder, for his support and dedication over the past year.